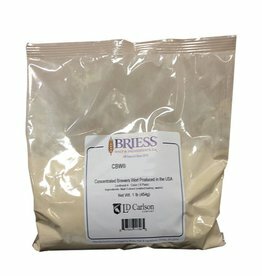 Dry malt extract made from 65% Wheat Malt and 35% Base Malt. 3 Lovibond. Used for all styles of wheat based beers. 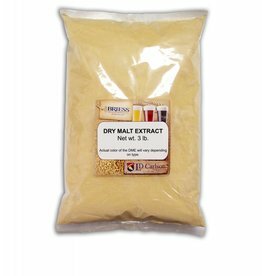 Dry malt extract made from 99% Pilsen Malt and 1% Carapils. 2 Lovibond. Primarily used for pilsners/lagers and other light colored beers, but can be used for all styles of beers. 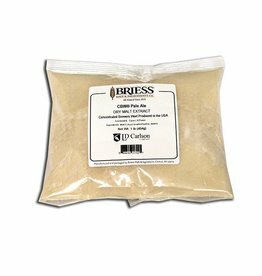 Dry malt extract made from from proprietary ingredients. 10 Lovibond. Produces a balanced wort with sweet, malty, and caramel tones. Produces an amber colored wort and can be used in any style of beer. Dry malt extract made 54% Munich Malt 10L, 30% Base Malt, 13% Caramel Malt 60L, 3% Black Malt. Produces sweet and instense malty tones. 30 Lovibond. Used primaraly in darker styles of beer.